In 2011, there will be a large number of senior citizens reaching the age of retirement and opting to enter the retirement stage of their life. The average age of retirement differs from country to country, but it is generally between the ages of 55 to 70 years of age. With the beginning & end of the official “Baby Boom Generation” being from 1946 to 1964, those born in 1946 will be turning 65 in 2011, thus the opportunity for elder abuse will consistently begin to rise if we don’t proactively address this issue now! There are more adults than in previous decades that will be requiring in-home health care services, retirement homes, nursing homes and other assisted living services. There were 79,000,000 births in the United States during the Baby Boom Generation. Every day, each one of the 79 million, not including those the have illegally or legally immigrated to the US will begin their retirement starting January 1, 2011 for the next 19 years until the year 2030. According to wikipedia.com Elder abuse can be defined as "a single, or repeated act, or lack of appropriate action, occurring within any relationship where there is an expectation of trust which causes harm or distress to an older person”. The core focus of this definition is the “expectation of trust” of the older person to the abuser. Therefore the general perpetrators of the abuse are individuals, family, friends, neighbors, or attorneys that have a relationship with the elderly person(s) and or are business that are relied upon to service the needs of the elderly person. •	Sexual Abuse – Inflicting any type of non consensual sexual contact on another person. threatening, berating or humiliating, etc. hygiene, food, medical needs, clothing, etc. fraud and other financial fraud. easily distracted, convinced and or swindled. Elder abuse has become a widespread a nationwide problem as the Baby Boomers enter retirement age. When seniors are bedridden and or are not publicly visible, senior neglect can be easily concealed and or explained away. Astute Criminal Investigations investigates crimes against seniors and those with developmental disabilities. These types of cases are very complex that require a level of specialty in order to obtain forensically sound & court admissible evidence that can be used in court if needed. While it is generally our goal to seek criminal prosecution for elder abuse case, most cases are settled out of court to avoid trial. It is imperative that the plaintiff performs a complete and thorough investigation especially in case involving nursing homes and power of attorney abuse. Identifying the statutes that regulate that caregiver and determining if they have been previously cited for violations and what corrective action has been taken if any. California Penal Code Section 368 states that it is "unlawful" to "harm," "steal or embezzle from, or falsely imprison, an elder or dependent adult." Additionally, the California Welfare and Institutional Code Section 15600-15675 of the Elder Abuse and Dependent Adult Civil Protection Act is a powerful law designed to help prevent neglect of senior citizens that are 65 or older. In California a “Dependant Adult” is anyone from the ages of 16 to 64 that is suffering from physical or mental limitations that restricts their ability to perform normal activities and or to protect their individual rights. Defendant Adults are also individuals between 16 and 64 years of age that has been admitted to a 24 hour health care, intermediate, nursing, chemical dependency, nursing and or psychiatric facility. With Florida and California being the top destinations for those enter their golden year, senior homes and retirement communities are springing up to address the eventual increased demand by the Baby Boomers. In California, there are many popular retirement cities & communities like, Leisure World in Seal Beach, Walnut Creek, Rossmoor, Palm Springs, Santa Barbara, Claremont, Hemet and San Diego. Astute Criminal Investigations has an experienced Elder Abuse Investigator near you and throughout California to assist your needs at anytime. Increased fear, decreased communication, etc. professionals and local law enforcement personnel will respond to address the immediate concerns. abuse before potential evidence can be destroyed or lost. 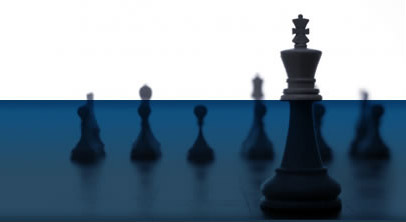 How can Astute Criminal Investigations help you? 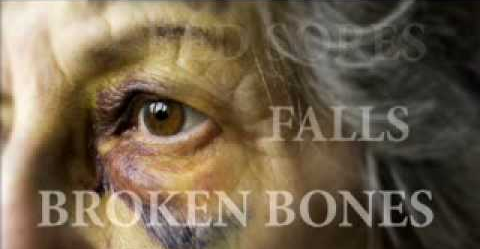 Astute Criminal Investigations conducts elder abuse cases with the utmost expertise and confidentiality. There are many reasons that going into the decision to hire a private investigator and none of them are easy. Nonetheless, we are passionate about protection the rights and liberties of the elderly. Our investigators are experienced, diligent and available 24 hours, 7 days a week throughout California. 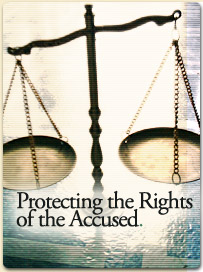 Were experienced in but not limited to the following types of cases: Forgery, bank account fraud, credit card fraud, embezzlement, identity theft, asset theft & real estate fraud, bank account fraud, credit card fraud, investment fraud, caregiver negligence, physical abuse, emotional/mental abuse, and power of attorney manipulation. Astute Criminal Investigations will recommend the applicable investigation method for your case and will assist you in reporting the abuse to local law enforcement and or the appropriate California Department of Social Services, Adult Protective services office. •	Background checks & screening services on caregivers, guardians, etc. Astute Criminal Investigations recognize that financial, physical and emotional abuse of senior citizens is a problem expected to reach a crisis status. Be proactive so that potential abuse of your loved ones can be averted. We care! We are here to help you! Call us today for a no obligation consultation and free assessment of your case.